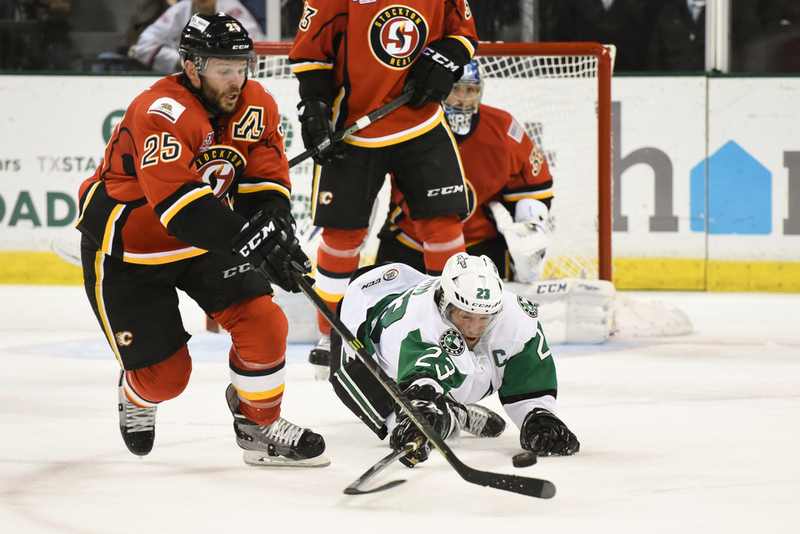 The Texas Stars faced the Stockton Heat at Cedar Park Center last night. It wasn't a good night for the Stars. They spent much of the first period chasing down the Heat and gave up three goals. The Stars offensive came into action in the second and by late in the third the game was tied at 3 each. A couple more goals, one an empty netter, sealed the deal for the Heat. The first shot is Ludwig Bystrom battling for puck possession in the first period. The second shot is captain Travis Morin diving to knock away the puck in front of the Heat's net. The third shot is an incoming shot on net by the Heat with Jack Campbell positioning to make the save.